I have a passion for e-commerce and am an official Shopify Partner. 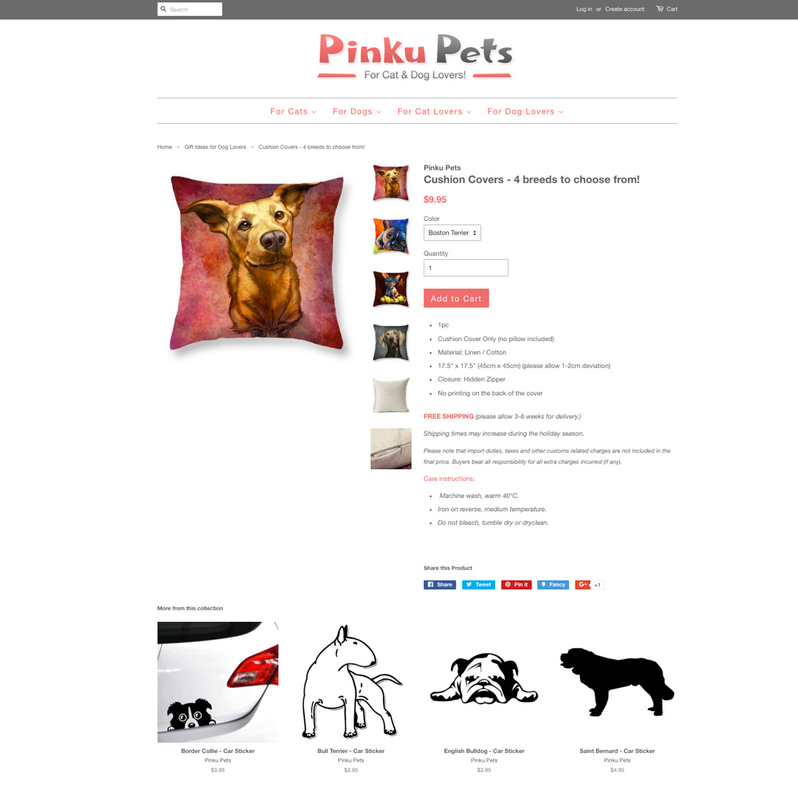 Online store design services include store setup and maintenance. This site was set up to support a couple of BC artist friends and to help them gain exposure by putting their artwork on t-shirts and other merchandise (“print-on-demand”). 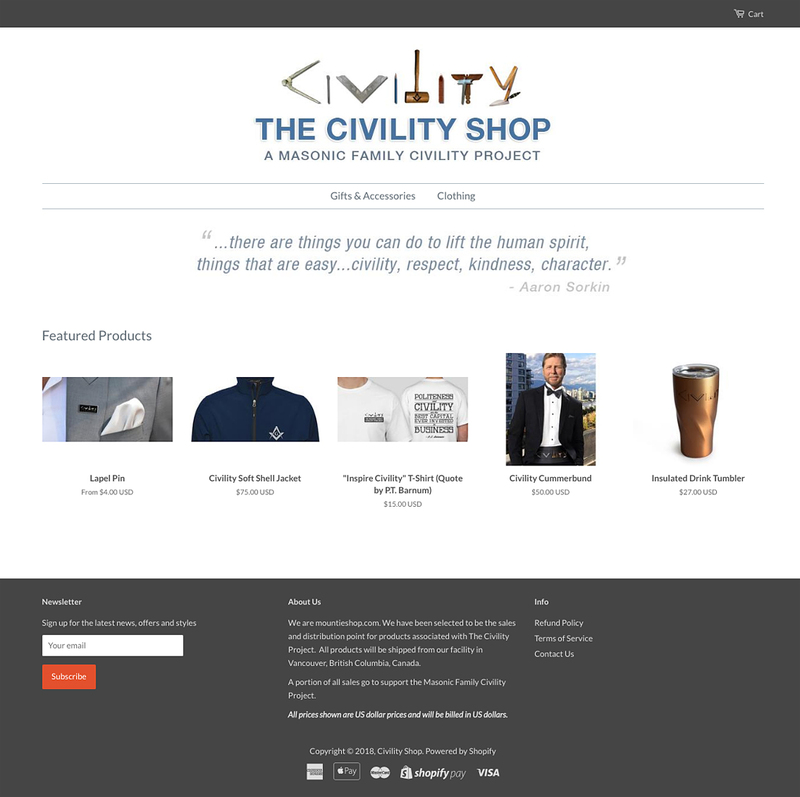 This site redesign project included me enhancing the tone of the site by adding quotes about “civility”, an important tenet of Freemasonry, and then also putting those quotes onto t-shirts. I also refreshed or created new graphics and shot new product photography for this project. 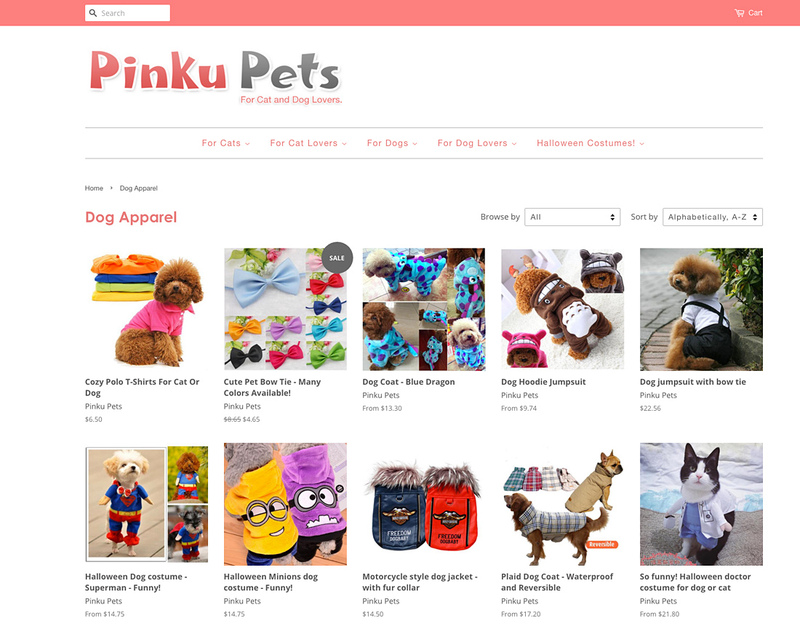 An idea my son and I came up with in 2016, Pinku Pets was created using the Shopify e-commerce platform. 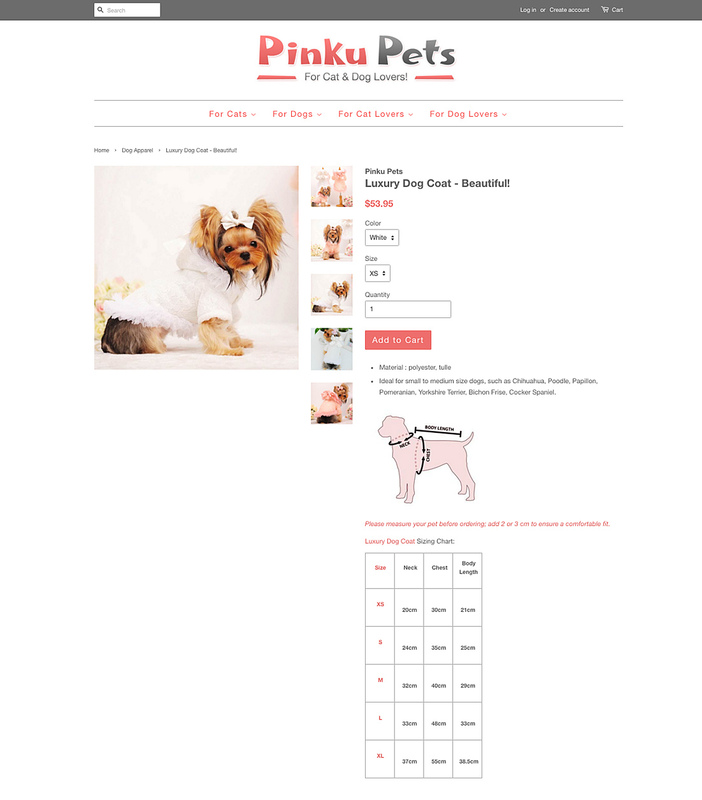 This online store has over 200 inventory items. 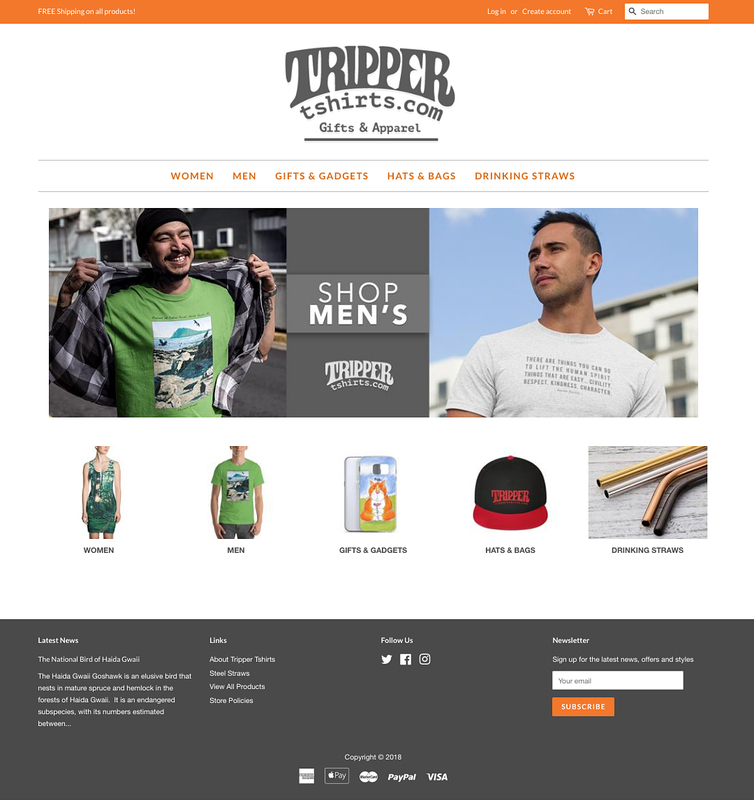 I developed this brand and Shopify e-commerce site in 2016.